Ashraf Ghani has been sworn in as Afghanistan’s president after six months of deadlock amid a bitter dispute over electoral fraud and a recount of votes. Under a US-brokered unity deal Ashraf Ghani takes over the presidency and runner-up Abdullah Abdullah can nominate a figure with prime-ministerial powers. The Taliban have described the deal as a “US-orchestrated sham” but Ashraf Ghani hailed it as a “big victory”. Ashraf Ghani took an oath to abide by the constitution at the swearing-in ceremony attended by up to 100 dignitaries. He has praised the country’s “first democratic transfer of power” and has also spoken warmly of his rival, and now partner in government, Abdullah Abdullah. Abdullah Abdullah, who takes on the newly created role of chief executive, said the two leaders would work together “for a better future with trust and honesty”. In a speech as the ceremony began, outgoing President Hamid Karzai, who has been leader since the US-led invasion in 2001, called for people to support the new government. The first thing the government is expected to do is to sign a deal that will see US troops remain in Afghanistan after the end of this year – a move opposed by Hamid Karzai. Militants attacked a government compound in the eastern province of Paktia on September 29, officials say. Meanwhile, a roadside bomb exploded on the airport road in Kabul. No one was hurt. On September 28, the Taliban overran a strategic district in another eastern province, Ghazni, highlighting some of the many challenges facing Ashraf Ghani and his security forces. Secretary of State John Kerry helped to broker a comprehensive audit of all eight million votes in the election earlier this year after the results were disputed. The audit was completed this month but the final tallies and the official result have not been made public amid fears over unrest. 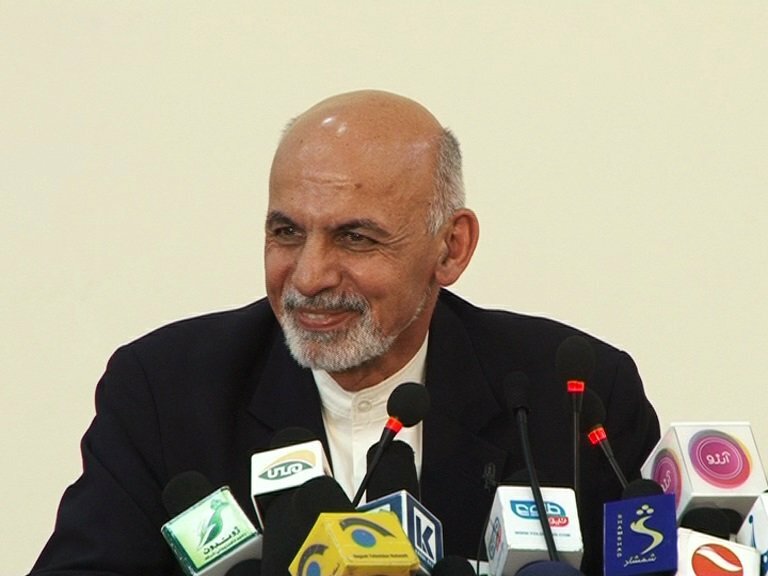 Afghanistan’s election commission confined itself to declaring Ashraf Ghani the winner in a statement earlier this month. Both sides had accused the other of fraud following the election and months of uncertainty have damaged the economy and heightened insecurity.